Want to show off your homegrown veggies and flowers? Do you like homemade jam, pickles? Homemade baked goods too? Anyone can enter the Whigville Grange Fair. No entry fee. Kids can enter too. Enter or just come to see your neighbors. 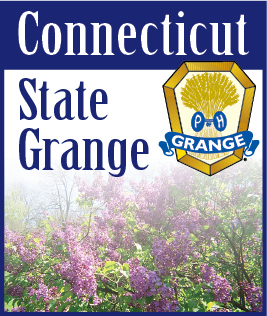 All the fun is from 10 A.M. – 2 P.M., Saturday, August 25 at the Grange Hall, S. Main Street, Burlington (Whigville). Free parking and admission, entertainment, food, teacup auction. Craft and vendors are welcome, call or email. F o r more information, please contact Debbie @ 860-582-9863 or email at b_gary@sbcglobal.net .